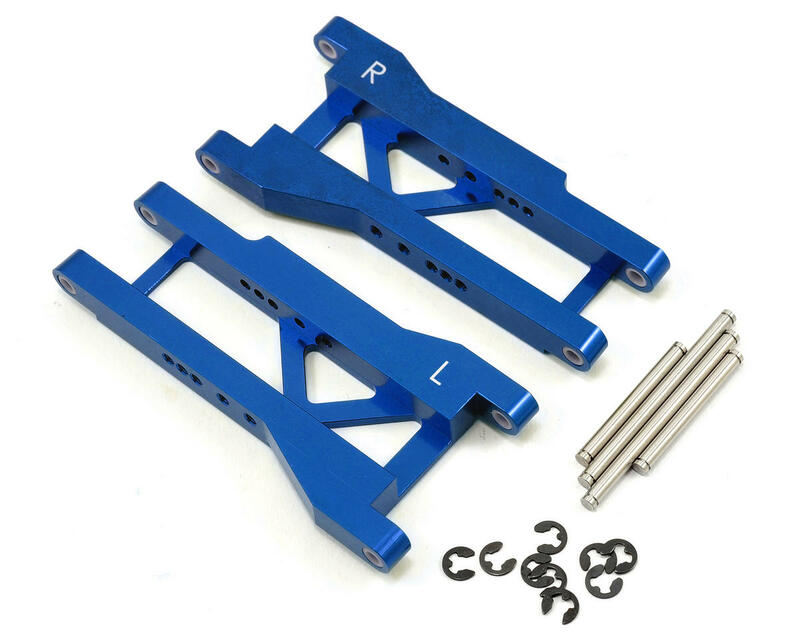 This is a set of optional ST Racing Concepts Blue CNC Machined Aluminum Rear A-Arms for the Traxxas Slash. 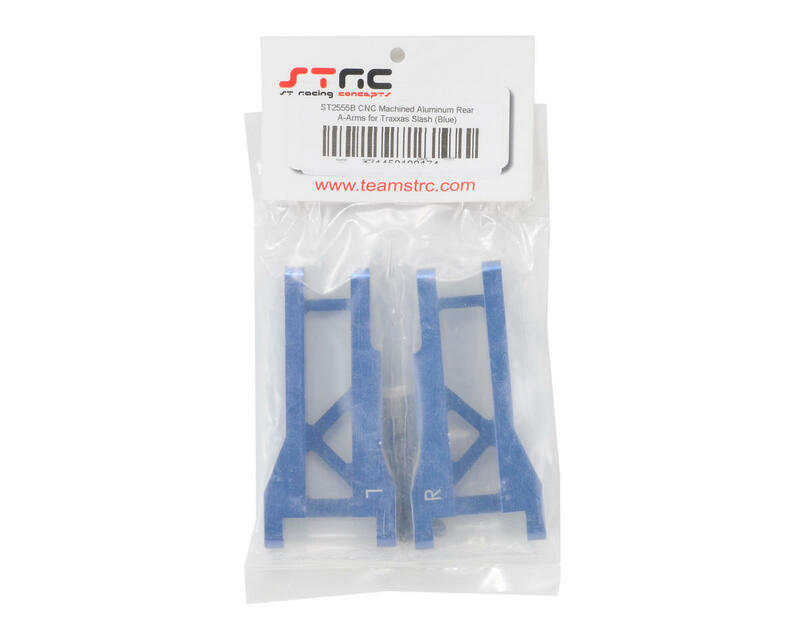 CNC Machined from high grade aluminum material, these aluminum Rear A-arms are made specifically for the Traxxas Slash, as well as the Nitro Slash. Aluminum A-Arms adds great strength to the rear suspension of your Traxxas Slash, and when combined with our aluminum front A-arms (ST3631) it provides a bullet proof setup for your Traxxas Slash. For smooth suspension operation, the hinge-pin holes are fitted with machined delrin inserts. Each set of A-arms also comes with high-grade steel hinge-pin set w/e-clips. Solid in design and construction.